Very exciting for me is that my first Iceberg Standard Rose has produced a whole bunch of buds and here is the first Rose starting to open. I’m happy about this because I was actually very unimpressed by the three standard roses I was sold. When I compare the state they were in (not great) and what I was charged, to the Iceberg Standards I saw last week in Elgin available from Duncan’s Roses. Their specimens were in 1000% better condition, totally beautiful specimens and cost less that half of what I was charged. But we live and learn … right? And it is very rewarding that mine is opening up and looking like its going to be verrrry pretty! If you love Roses, visit my two favourite “Garden Blogging Buddies” who have the most magnificent Rose Gardens. They are Holley’s Blog at “Roses & Other Gardening Joys“, and Masha’s Blog at “A Rose is a Rose …“. These two ladies and their lovely Rose Gardens inspired me to try Roses in my garden! Here is an update – Fully opened today (Tuesday) and lots of buds on the bushes! PS: And now I want MORE Roses!! Oh WOW! Very pretty. I guess when you have roses you will ALWAYS have roses. I always thought they would be a pain in the neck, but I get so much more pleasure from my roses than the effort it takes to care for them. The big pests are aphids and mildew. Water in the morning and not in the evenings and you should be safe! I do agree that Duncan’s Roses are the BEST roses I have ever seen. So much love there! And the prices are worth the drive! When you go – I’ll go with you! Very pretty rose. Roses and I do not get along very well. I have thoroughly disgusted a good gardening friend of mine by purchasing knockout roses which are supposed to be idiot proof. Seeing as how I am an idiot about raising roses, I thought this was a good match. Apparently, I am uninspired which may be true, but us brown thumbs can take all the hep we can get. Christine, I am so glad the Iceberg seems to be working out. It should be the state flower of California – it does so well here. I hope you post the picture of the whole plant when it blooms. It is a beautiful rose, you made a good choice. Thank you very much for recommending my blog, I am honored. I love rose standards! 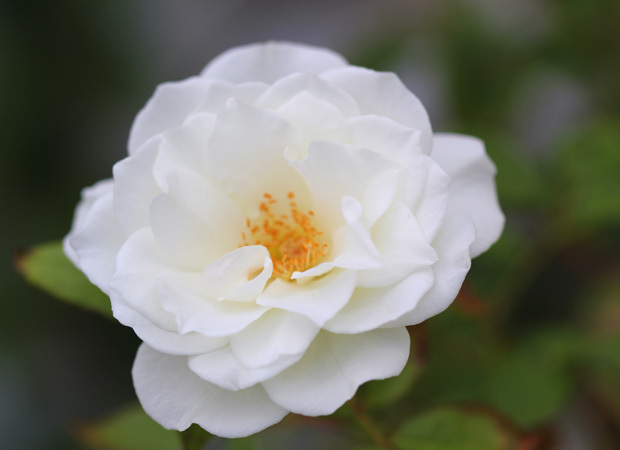 Yours will be beautiful – Iceberg is a very good rose for that. I bought two on sale in really bad shape – but they are so hard to find here – so I completely understand your purchase. Thanks so much for mentioning my blog! I am honored, and humbled! 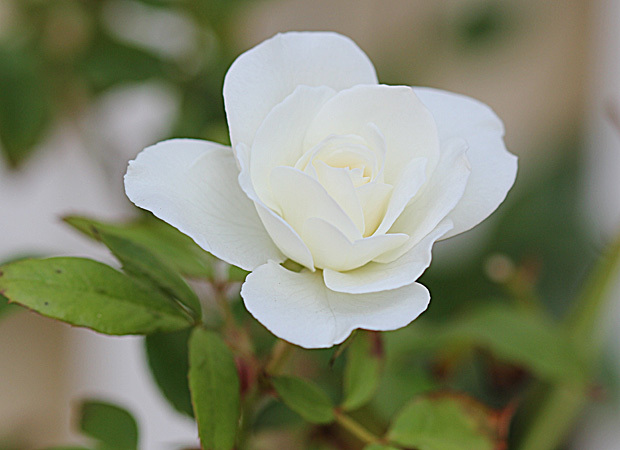 Iceberg, the first Rose which we ever planted in our garden. Still said to be one of the purest of whites, I don’t think it is scented. With a little nurture I am sure your poor specimens will flourish. Hi Diana, I really liked everything I saw at Duncans Roses! The quality and the prices were really really good, so next time I want roses I’m doing the one hour drive to go get them in Elgin. I think it will be well worth it! I’d love to see your roses! Sometimes you can’t use logic or comparison shopping when buying plants, because they’re so variable, and emotions come into play. Availability is a problem too — sometimes you have to take what they have. The great thing is that in a year or two (or less) your plants will look identical to the “better” ones.